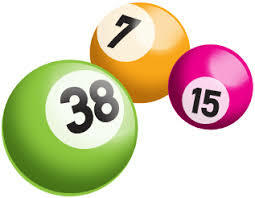 The 100 Club is the Parish Lottery which helps our community to raise money to fund different Parish projects. However, it is possible that the above prizes could be increased (or decreased) in number or value, dependent on the size of the membership. Congratulations to them all and commiseration to the rest of us who will continue to hope for better luck next time! If you would like to join the 100 Club, please download the Registration Form and Rules, which will open in a new tab, and print both pages. Complete the Registration page, put it in the one of the envelope provided in porch of the church clearly marked “100 Club” together with your subscription, and just drop it in the collection next time you are at Mass. Alternatively you can return it to the Parish Office or hand it to Alfredo together with your subscription and he will issue you a receipt in due course. Keep the Rules page for your record. After your details have been entered into the Register, Alfredo will let you know which number/s have been allocated to you. You can join at any time during the year. If not sure what you should do, please contact Alfredo. Thank you for your kind generosity and support. For any further details or to ask any questions please contact Alfredo direct: alfredotechno1@gmail.com, 07980 585054 (available also on WhatsApp), 01634 318564. Thank you. Should you wish to pay your subscription by Bankers’ Standing Order you can download it here. Print the form and fill in the information required, then forward it to your Bank. Please note that, if you have Online Banking, you can arrange a Standing Order from your own computer/tablet/mobile by submitting the relevant details of the 100 Club’s Account provided on the above mentioned Standing Order Form. Thank you. Niemniej jednak nagrody mogą się zwiększyć lub zmniejszyć w zależności ile osób przynależy do członkostwa loterii.